I’ve made these enchiladas twice in the past week! The first batch was pure vegan. The second batch, not so much. 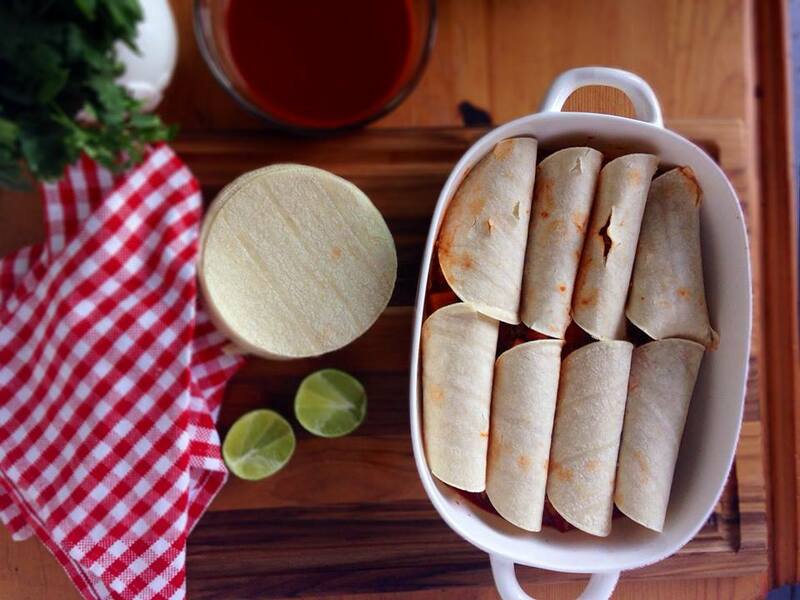 The great thing about these enchiladas are that they taste great either way! Feel free to get creative and put your own spin on this recipe. 2. 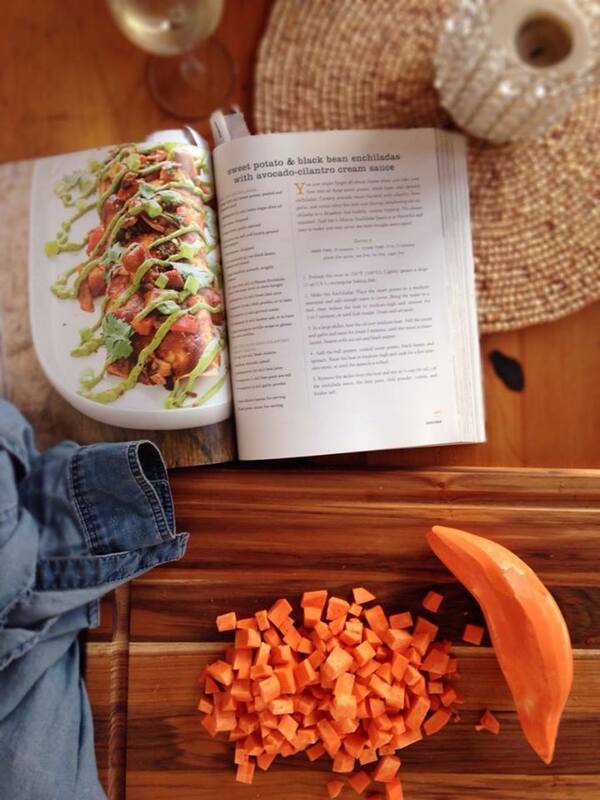 Make the enchiladas: Place the sweet potato in a medium sauce pan and add enough water to cover. Bring the water to a boil, then reduce to medium-high heat and simmer for 5 minutes, or until fork-tender. Drain and set aside. 4. Add the bell pepper, cooked sweet potato and black beans. Raise the heat to medium high and cook for a few minutes (until turkey is almost fully cooked), about 8 minutes. 5. Remove the skillet from the heat and stir in 1/2 cup enchilada sauce, lime juice, chili powder and salt. 6. Spread 1 cup enchilada sauce evenly over the bottom of the prepared baking dish. Scoop filling into each tortilla. Roll up the tortilla and place seam side down in the baking dish. 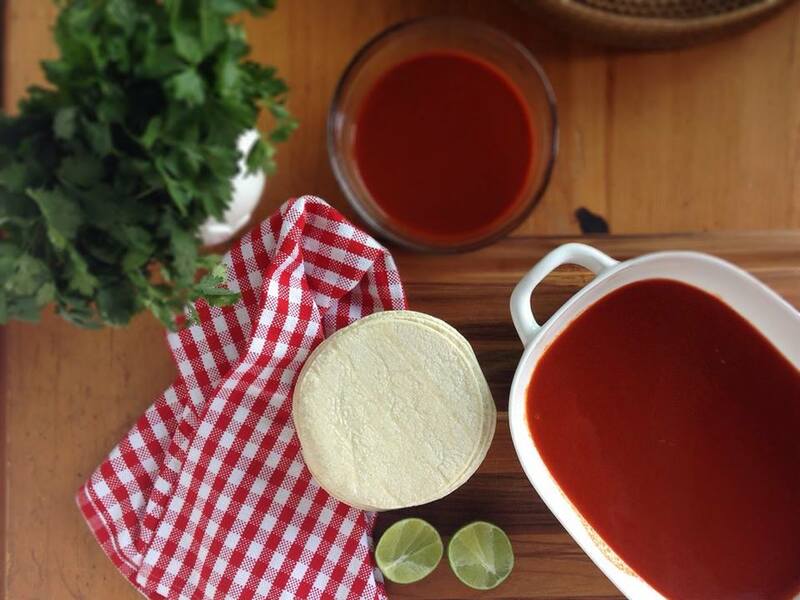 Spread the remaining enchilada sauce over the tortillas. If you have leftover filling, scoop it on top of the enchiladas. 7. Bake the enchiladas uncovered, for about 20 minutes, until the sauce is a deep red color and the enchiladas are heated through. 8. Meanwhile, make the avocado cilantro sauce. In a food processor, process the cilantro until minced. Add the avocado, lime juice, salt, garlic powder, and 2 Tbsp water and process until creamy. 9. 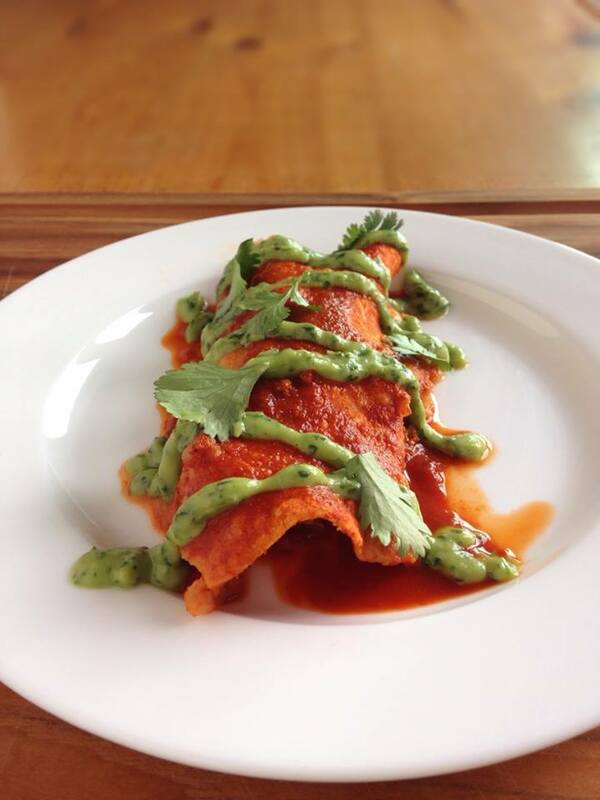 When the enchiladas are ready to serve, plate them individually and drizzle with avocado sauce. Garnish with cilanto and green onion, if desired. 10. I am in love with the Oh She Glows cookbook, I highly recommend purchasing her book! Categories: Clean eating, Cooking, entrees, Gluten Free, Healthy, Healthy Recipe, High protein, Vegan, Vegetarian | Tags: avocado, beans, cilantro, enchiladas, healthy, healthy cooking, mexican food, sweet potato, sweet potatoes, vegan, vegan diet, vegan recipe, vegetarian, yam, yams | Permalink.